Don't you just hate this? 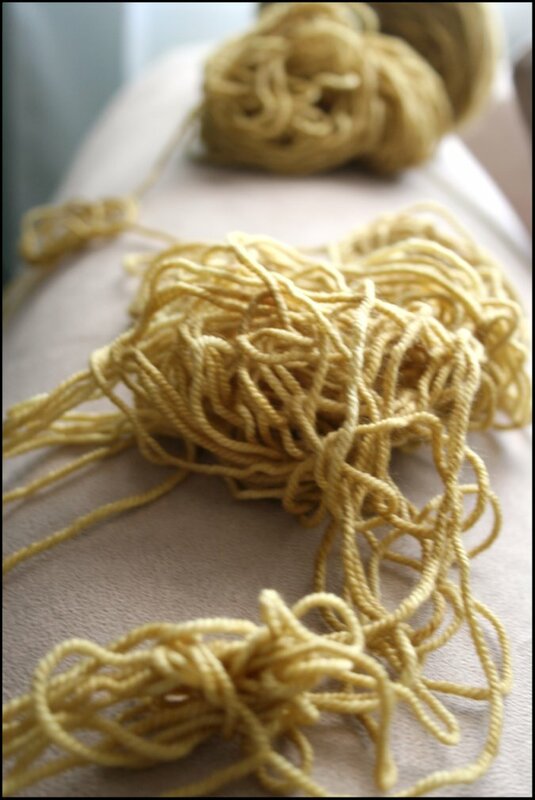 When you have to spend your precious knitting time untangling yarn? Hello! I'm back with another book review! Congratulations to Juliana, last weeks giveaway winner! This week I'll be reviewing Knitting Over the Edge by Nicky Epstein. This book has been around for awhile, but is a great one! I'm happy to share it with you! 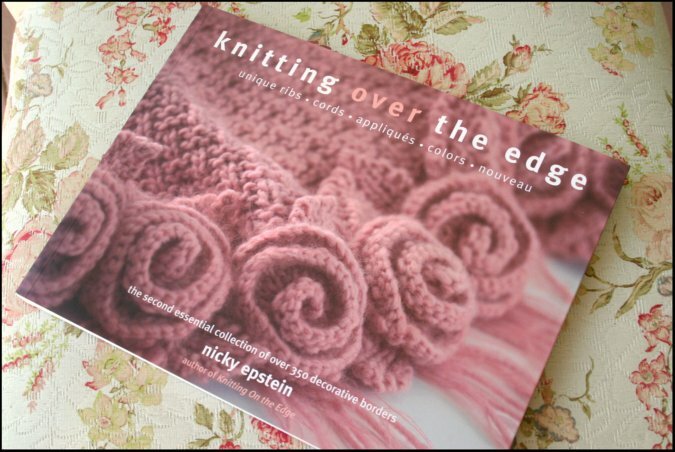 Knitting over the edge is the second in Nicky's edging book collection. 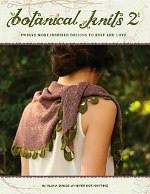 The first book was titled Knitting On the Edge and the third in the collection is Knitting Beyond the Edge. I love and own all three! 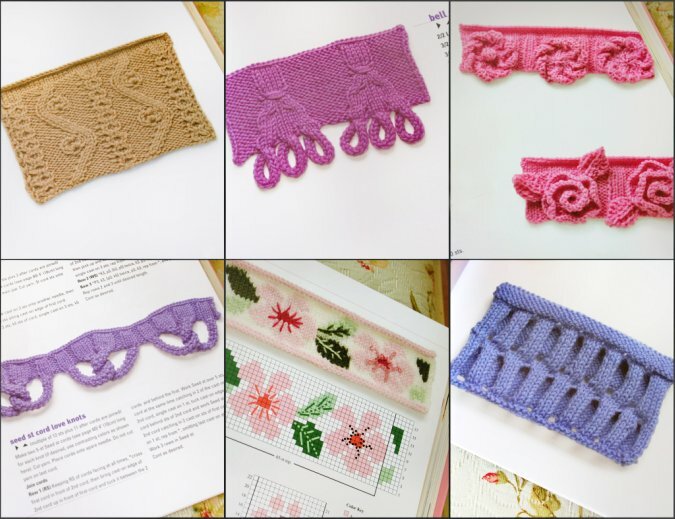 Nicky Epstein is probably the most inventive knitwear designer I can think of and I feel that these edging books just cannot be beat. The first 2 books contain 350 different knitted edges.. EACH! 700 total in the first 2 books. Who can even think up 700 edgings? Amazing, right? All 3 of these books are excellent reference publications that every knitter should have in their library. I refer to them all of the time. They provide me with constant inspiration. 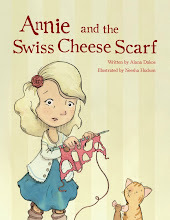 Here is what you can expect to find in this particular book, Knitting Over the Edge. This book contains edging designs broken up into 5 different categories.. Unique Ribs, Cords, Appliques, Colors and Nouveau. Below are some pictures to give you an idea. There are also some garment patterns included that utilize some of the edgings featured in the book. It's jam packed with information. There is something for everyone inside. If you would like to enter to win this brand new copy of Knitting Over the Edge, please leave a comment under this blog post. In your comment please include your contact information and please remember only one comment per person please. I'll announce the winner next week with another book review, so be sure to check back! Thank you for joining me back this week for another book review! Last week's drawing winner is Lauren! Congratulations! If last week's cowls were not your thing, perhaps you'll enjoy this weeks review of the book Mittens & Gloves by the editors of Vogue Knitting Magazine. 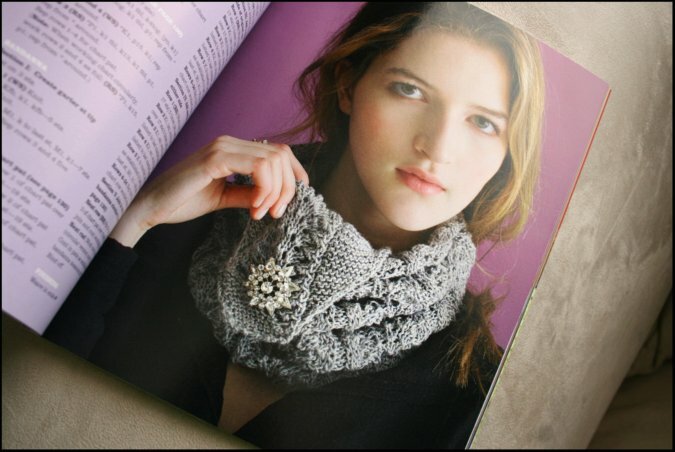 This book contains over 40 of the most popular patterns compiled together from previous Vogue Knitting publications. 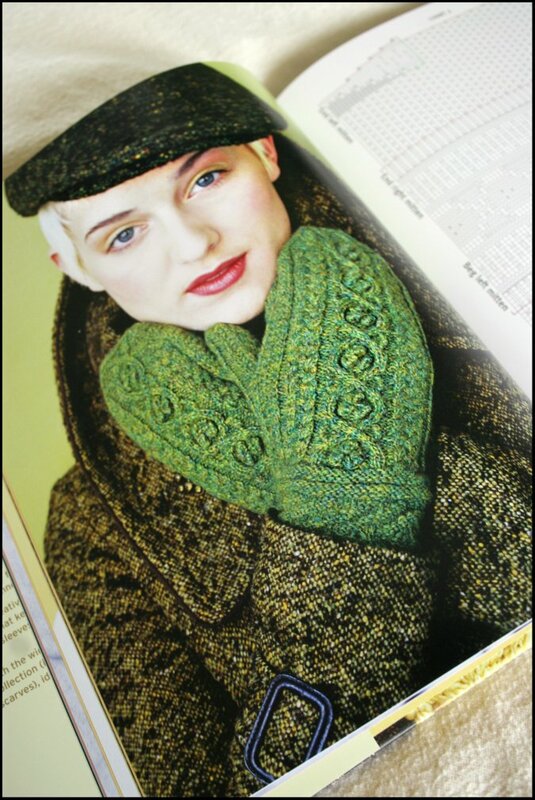 The main focus is mitten and glove patterns, but there are also a few patterns for coordinating hats and scarves included as well. This is truly a pattern book. There is a teeny tiny section in the back to show you the knitting basics, but the bulk of the book is pattern instructions and photos. One thing I enjoyed about this book is the variety offered. There are many styles included to suit all different tastes. 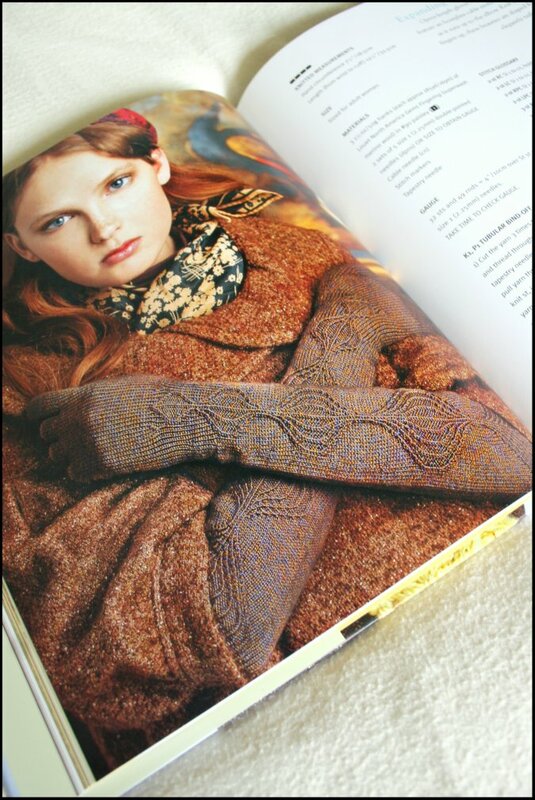 There are all types of gloves and fingerless mitts.. plain, cabled, colorwork, lace.. everything! 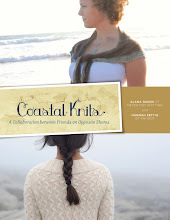 This book contains patterns for beginning knitters and advanced knitters. I think that everyone could find a pattern that they like in here. Personally, I found many patterns in here that I would love to make and wear. Here are some of my picks. And of course, I was happy to see Jared Flood's Druid Mittens included. I've always liked this pattern. 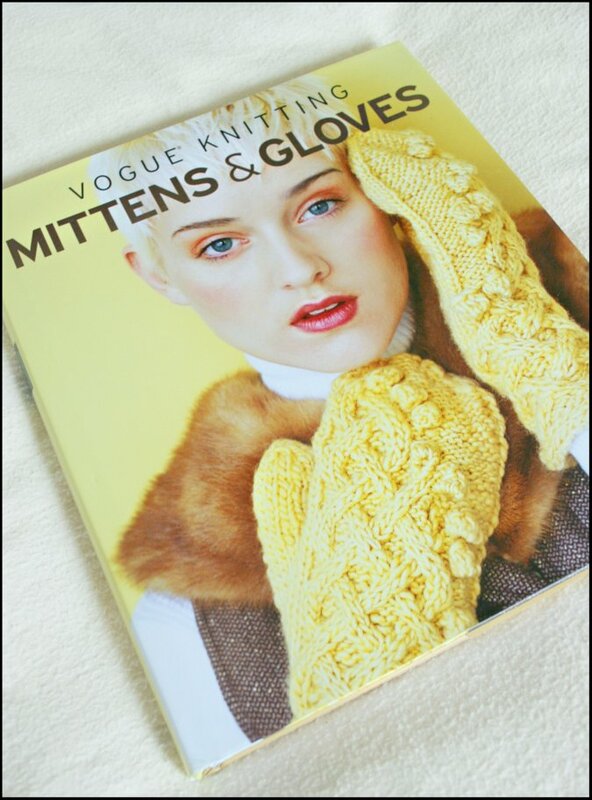 If you would like to win this brand new copy of Vogue Knitting Mittens and Gloves provided by Sixth and Spring Books, please leave a comment under this blogpost. Only one comment per person please, and don't forget to leave your contact information as well! I'll randomly select a commenter and announce the winner next week along with another book review! Hello everyone! Thanks for all of the great participation in these giveaways! I'm glad that you are enjoying the reviews! I picked another winner from last weeks drawing. Congratulations j*e*n! 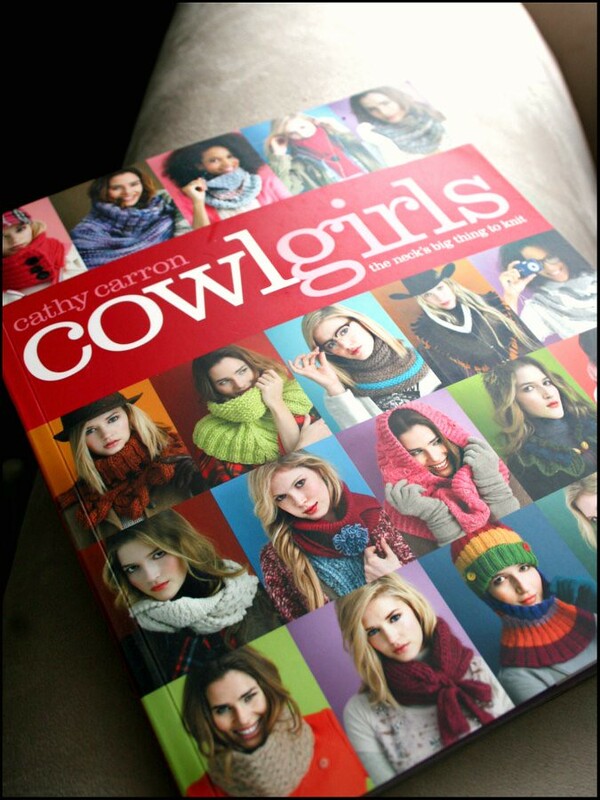 This week I will be reviewing the book Cowl Girls; The neck's big thing to knit by Cathy Carron. And it's at this point that my cursor remains stagnant blinking at me on the screen. What can I say about Cowl Girls? I feel so conflicted by positive and.. um... "less positive" feelings while I flip through its pages. 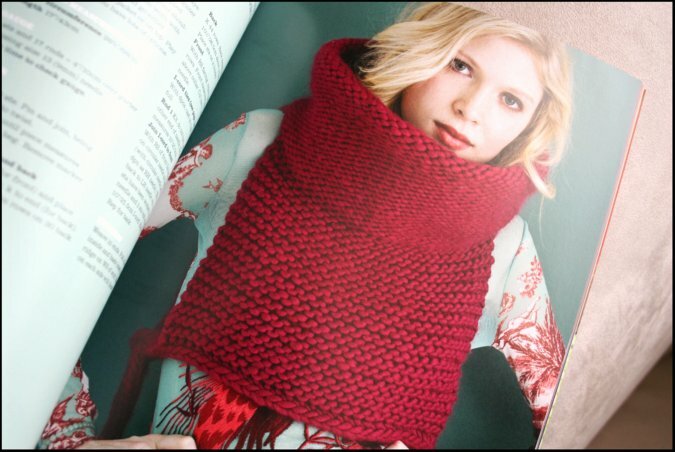 Let me start off by saying that I really do love cowls. In my opinion, they are the perfect neck warming accessory and I find them easy to knit and very stylish. This book contains pretty much everything you would want to know about the cowl. I especially enjoyed pages 10-13 which cover all of the cowl basics. It explains what the differences are between cowls, gaiters, dickeys, snoods, and more. I have always wondered such things, so I really enjoyed this section. 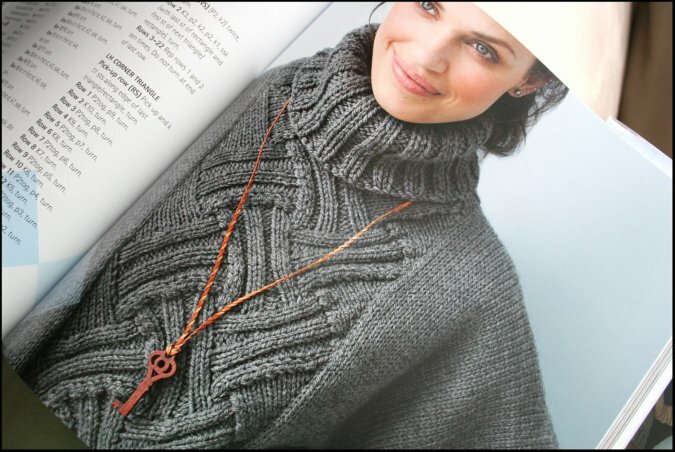 It also gives you three different methods to use when knitting up your cowl. 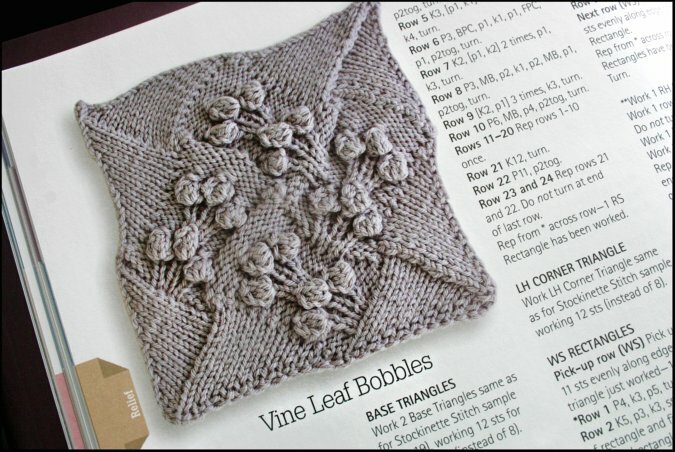 I think this would be very helpful information for a beginning knitter. 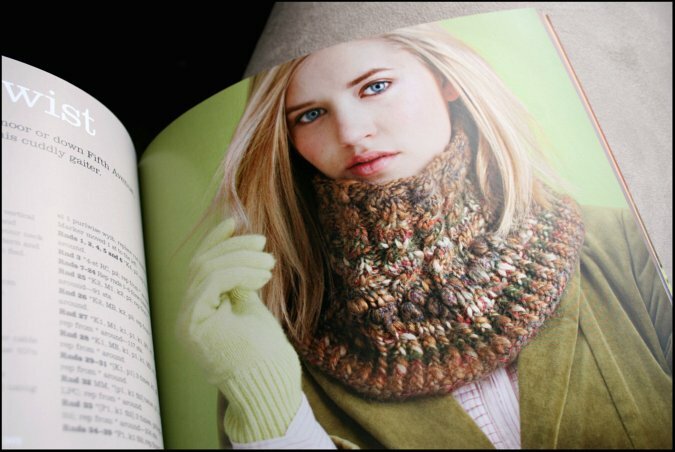 The rest of the book contains 40 patterns for "neck-wear accessories". 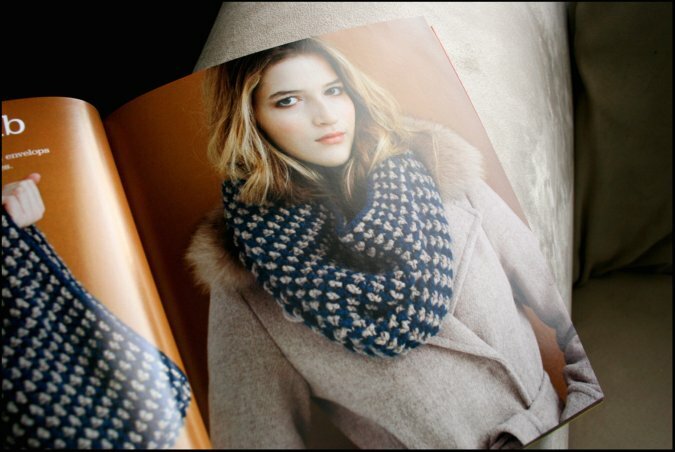 While the book kind of lumps all of these patterns into the "cowl" catagory, some are more fashion accessories then functional knitwear. There are definitely some patterns that I genuinely like in here and could see myself wearing. Here are a few of my favorites. But honestly, there are other patterns in this book that leave me scratching my head in confusion. But if you really like bright colors and funky styles, you will probably love these patterns. I do have to say that I am impressed by how inventive some of these designs are. There are shapes and textures that I would have never imagined. There are also many cowls knit up out of bulky yarns, making them probably super quick to knit up and great for beginners. 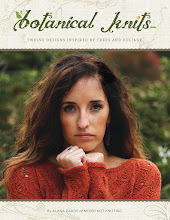 If you would like a chance to add this copy of Cowl Girls provided by Sixth and Spring Books to your personal knitting library, please leave a comment (only one per person please) under this blog post. Remember to please include your contact information in your comment. I'm back this week with another book review for you! There were many entries in last week's drawing. I picked out one commenter at random and the winner is Caryl K! Congratulations! This time I will be reviewing the book Entrelac; The Essential Guide to Interlace Knitting by Rosemary Drysdale provided by Sixth and Spring Books. It's been years since my 'one-time-dabbling' in entrelac when I made the Danica scarf pattern in 2007. Discovering entrelac for the first time was certainly a fascinating experience. Entrelac knitting creates a fabric that resembles strips that are woven together.. only its not. I found it to be very fun and the resulting scarf got a lot of attention from knitters and non knitters alike. 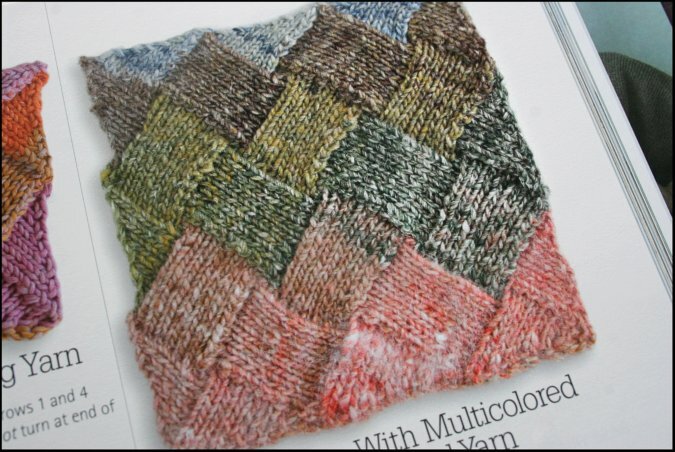 This book is like entrelac on steroids. It takes entrelac to places I never thought it could go. 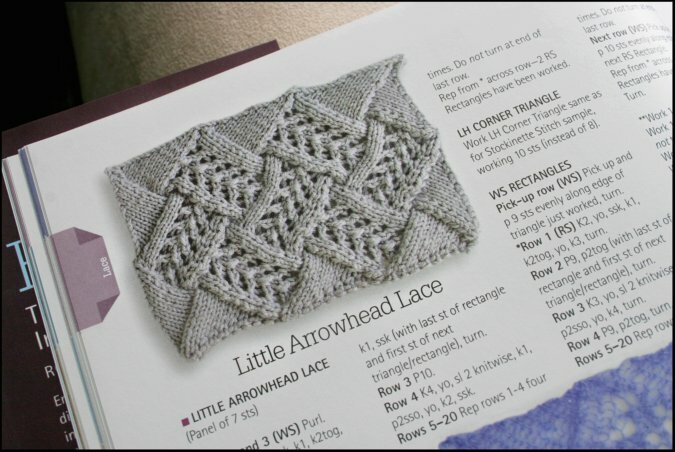 The beginning sections contain extensive tutorials to teach you the basic techniques and there is even a section on knitting backwards to avoid purling! I was super excited to see that as I have always wanted to learn this technique. 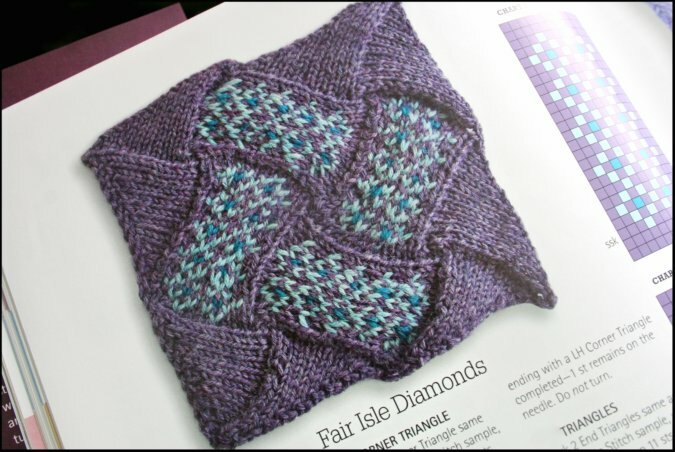 In the chapters that follow, you will learn how experimenting with different stitch patterns, colors and yarn types can completely change the look of your entrelac. Such as adding lace stitches.. 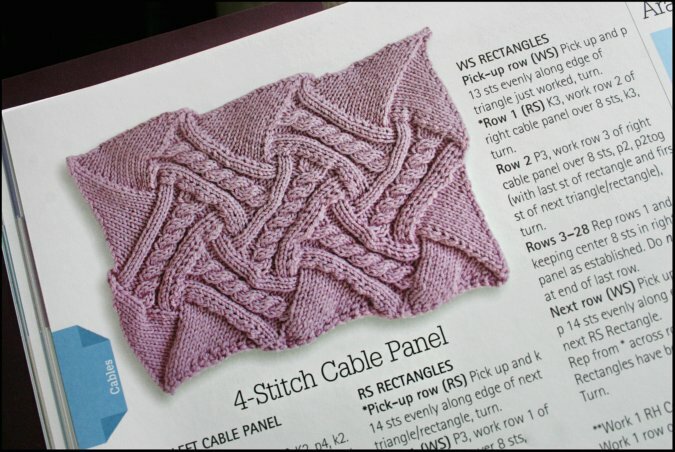 The last section of the book contains more than 25 patterns that feature entrelac in different ways. There are patterns included for hats, scarves, ponchos, bags, sweaters, vests.. you name it. 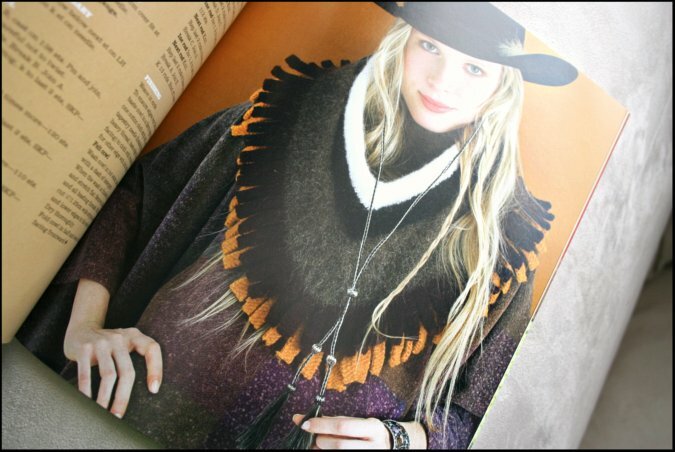 I especially liked this poncho featured on page 76. I like the subtle use of entrelac on the front. Altogether I found this book very interesting, inspiring, and imaginative. If you would like to try this technique out for yourself, this would be a great book for you to learn from. 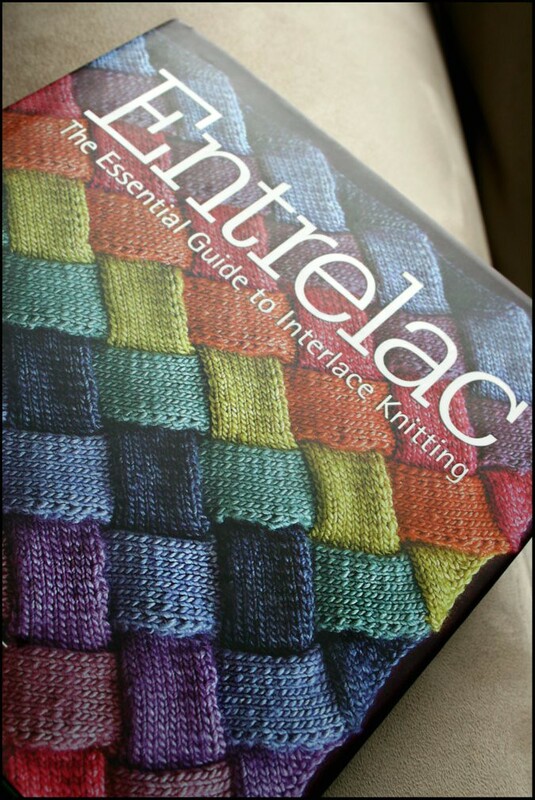 To enter to win this brand new copy of Entrelac, please leave a comment under this post. Remember to include your contact information! I will announce the winner next week with another book review!